Harley Sommerfeld, Kay Carter & Don Mopsick sit in. 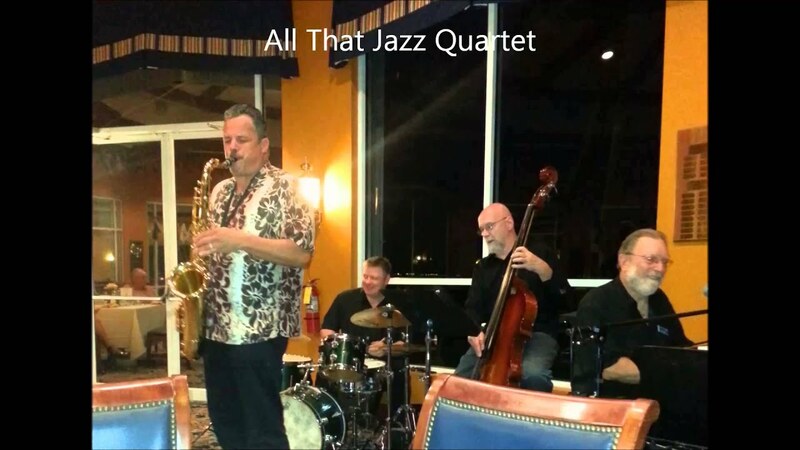 All That Jazz is a vibrant professional jazz ensemble that performs standards, bebop, ballads, and Latin tunes for listening and for dancing, from Sarasota to Naples. Our sound is fresh and exciting, perfect for restaurants, bistros, clubs, fundraisers, etc. We offer a quintet, quartet, trio or duo. Just inquire. You'll be wanting encores. Wonderful! What great musicians! Love the sound! Excellent, and would recommend them! Thank you, Rebecca. We all enjoyed playing at your birthday party. Lots of fun! Punctual. Great music. Easy. Fun. All That Jazz plays strictly live music for listening and dancing. Our music is influenced by Benny Goodman, Duke Ellington, Benny Carter, Fats Waller, Charlie Parker, Dave Brubeck, Sonny Rollins, Diana Krall and other jazz and swing artists. We will play for listening as well as for dancing. Just let us know what you want. Our swing jazz and bebop comes from the 30s and 40s, we love New Orleans jazz and 20s music, we enjoy Brazilian bossas, and the smooth jazz of the 50s, 60s and later. We have a wide repertoire and happily take requests. Our standard dress for a gig is Hawaiian style shirts and nice slacks. For more formal occasions we wear coat and tie. For casual, outdoor gigs, nice shirts and shorts are our preference. Let us know what you would like. 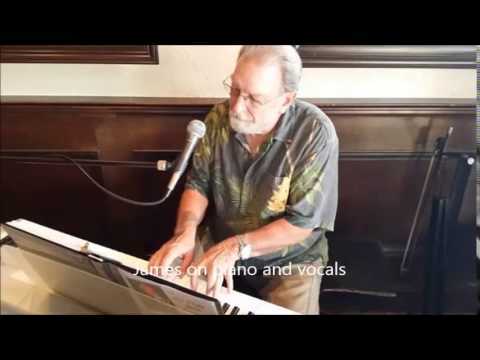 Past, present and future gigs include Cassariano Italian Eatery in Venice (every Sunday), Howards Restaurant in Englewood, the Charlotte Harbor Yacht Club, Isles Yacht Club, the Founders Golf Club, the Venice Yacht Club private parties, the Naples Botanical Garden Jazz Series, the Jazz Club of Sarasota's Joy of Jazz in Venice and Jazz Trolley in Sarasota, etc. 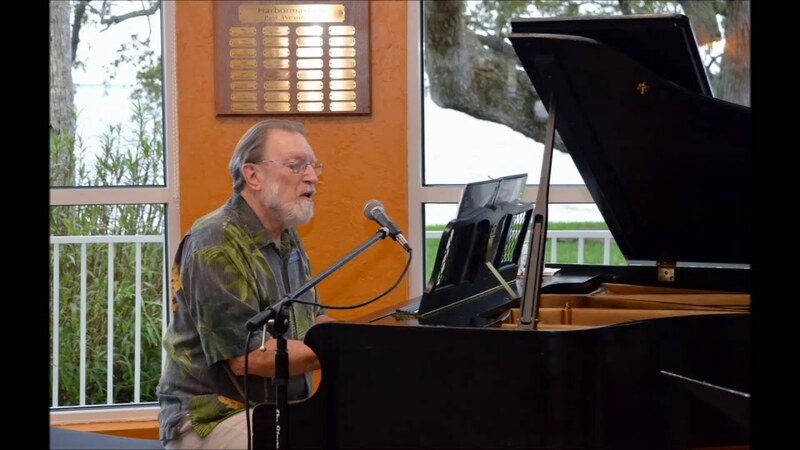 Leader of All That Jazz is James Williams on piano and vocals, who has played professionally for many years in northern California and now on Florida's Gulf Coast. 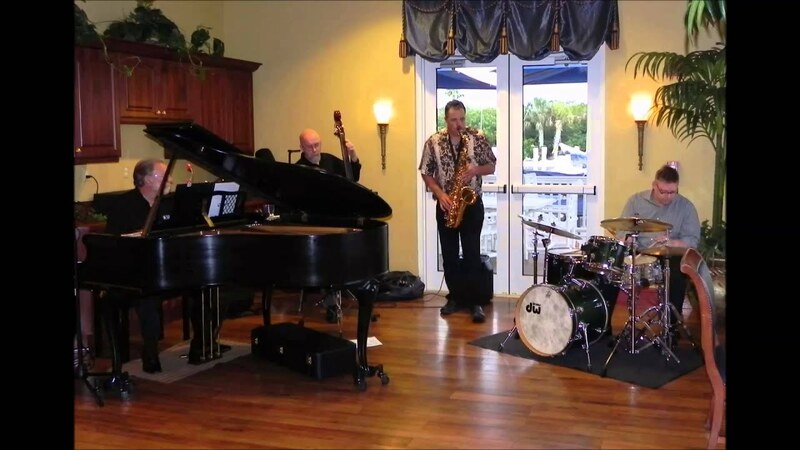 Our core group includes Bob Miner, saxophone, who is a polished jazz player who has played for many years in New Mexico, Virginia and now in Florida; Joe Bruno, a journeyman trumpet and fluglehorn player who has played in many bands from Las Vegas to Sarasota to Boston (where he led house band at the Parker House during the 1950s); Joe Bruno, Jr., an accomplished professional bass player from Sarasota, who has played with many blues, rock, jazz and traditional jazz groups; and Rick Costa is a jazz drummer residing in Venice and who hails from Boston. Other musicians join us on occasion or substitute for our regulars if necessary, including Isaac Mingus, Bruce Wallace, and John DeWitt on bass; Jack Keeling and Harley Sommerfeld on clarinet, flute and saxophone; and Dominik Teyke, Tony Martin, and Shawn Doolittle on drums. While our core group is a quintet, we can provide a quartet or a sextet. Or, in the other direction, we can provide a jazz trio or duo. Our music is influenced by Benny Goodman, Duke Ellington, Benny Carter, Fats Waller, Charlie Parker, Dave Brubeck, Sonny Rollins, Diana Krall and other jazz and swing artists. We will play for listening as well as for dancing. Just let us know what you want. Our swing jazz and bebop comes from the 30s and 40s, we love New Orleans jazz and 20s music, we enjoy Brazilian bossas, and the smooth jazz of the 50s, 60s and later. We have a wide repertoire and happily take requests. If your venue has an acoustic piano, we are pleased to use it in our gig; however, if that is not available, we will bring our own electric keyboard along with all other equipment. We do not have stage lighting. Our set-up space is approximately 12' X 8'. Need electrical. For outdoor performances a well-shaded location. Cute - Count Basie et al. I’m Beginning to See the Light - Duke Ellington et al. Our music is influenced by Benny Goodman, Duke Ellington, Benny Carter, Fats Waller, Charlie Parker, Dave Brubeck, Sonny Rollins, Diana Krall and other jazz and swing artists. We've all played with a variety of other groups and players, and each of us brings a lot of experience to our quartet.